[separator style=”line” /] Senior journalist, Mark Dean, had the opportunity to ask bassist John Myung – best known for his work with Dream Theater – about his new project with Ty Tabor (King’s X) and Rod Morgenstein (Winger & The Dixie Dregs) called The Jelly Jam. John, how does the creative process differ with The Jelly Jam compared to that of Dream Theater in terms of writing and composing music? Do you work collectively or individually? Does a particular band member contribute lyrics/another the music; how does it work? Yes, we work collectively. After we’re done writing, we then work on getting the drums and bass recorded; after that is done, Ty then works with the recordings and takes it all multiple steps further from recording guitar, writing lyrics, recording vocals and producing the album sonically. 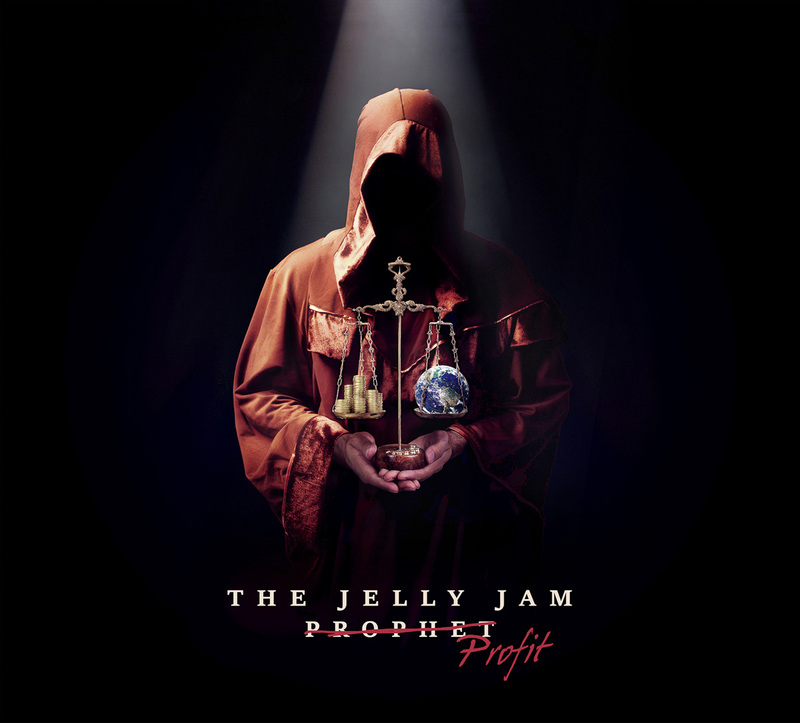 With the latest release, Prophet/Profit, can you explain the cover artwork and how does that relate to the album itself? The story is about a Prophet and his mission to save the planet, the storyline is fictional but deals with real issues happening today, one of them being our environment. I appreciate this is a new release, so all the songs are close to you. However, can you attempt to pick a couple and give me the inside story to the creation and subject matter? The intro to the song “Water” started as an idea I had sitting around, that we all worked on collectively and turned it into a complete song. The subject matter voices concern about our environment and how people tend to look the other way hoping our problems will just disappear. The song “Perfect Lines” was another track like “Water” that experiments with bass and harmonizing bass with Moog Taurus pedals. The piano part in “Perfect Lines” was something that Rod came up with, he played it in such a way and thankfully it was being recorded because it was one of those moments where we all felt he captured something. The subject matter is about the Prophet’s journey and his difficulty convincing people of the truth. You are renowned for your musical talent in your bass playing – but who would be your favourite drummers? I don’t tend to think of favorites that way, I think of bands and their music along those lines. As the bass/drum interplay is the rhythm section of music, how different is playing in Dream Theater with Mike Mangini as opposed to Mike Portnoy? I don’t like to compare musicians and their abilities, I think it’s more of a personal observation that one has when listening to a particular song or album. As Dream Theater’s music is so intricate and complex have you ever found yourself lost on stage where you have actually forgotten where you are in a song? Yes, I have, and that usually happens when I’m too loud in my personal mix or when the sound environment is challenging on stage when we’re all getting a lot of dispersion from the subs. What has been the biggest challenge for your personally since you started playing music professionally? It’s still the same challenge, it doesn’t really go away, the challenge of doing your best, it’s a work in progress. When are you completely satisfied with your work? Never really satisfied; you do your best to a point then move on, it’s thoughts that motivate and have energy. Why have you succeeded in a field where so many others have failed? I guess we are lucky! Is there a magic formula for success? Outside of music, do you have any spare time interests or hobbies, or is music all-encompassing for you? I like to play golf, golf is humbling. What would you have done if you hadn’t gone into music? I think life is a mystery. Are there particular stand out highs and lows of your music career? There are many, life is a journey and these types of experiences are to learn from. Have you ever recorded a bad album? If so, which and why? I think some albums are transitional and some are very in the moment at the time, I don’t see any album as bad. What can you do that nobody else can? If you could be the interviewer who would John Myung like to sit down and interview-what would you ask them (a particular hero or inspiration) maybe not necessarily a musician? Yes, Yoda. What would you be if you weren’t a Jedi?